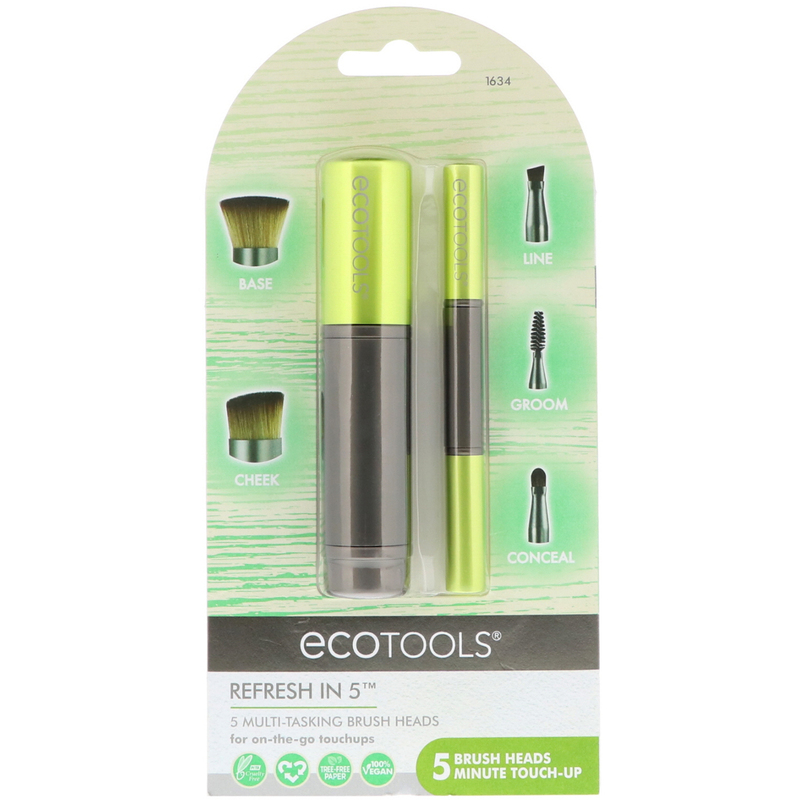 The Refresh In 5 kit is designed with 5 multi-tasking brush heads for a 5 minute, on-the-go touch with easy storage. Blend: Buff on power with Base brush. 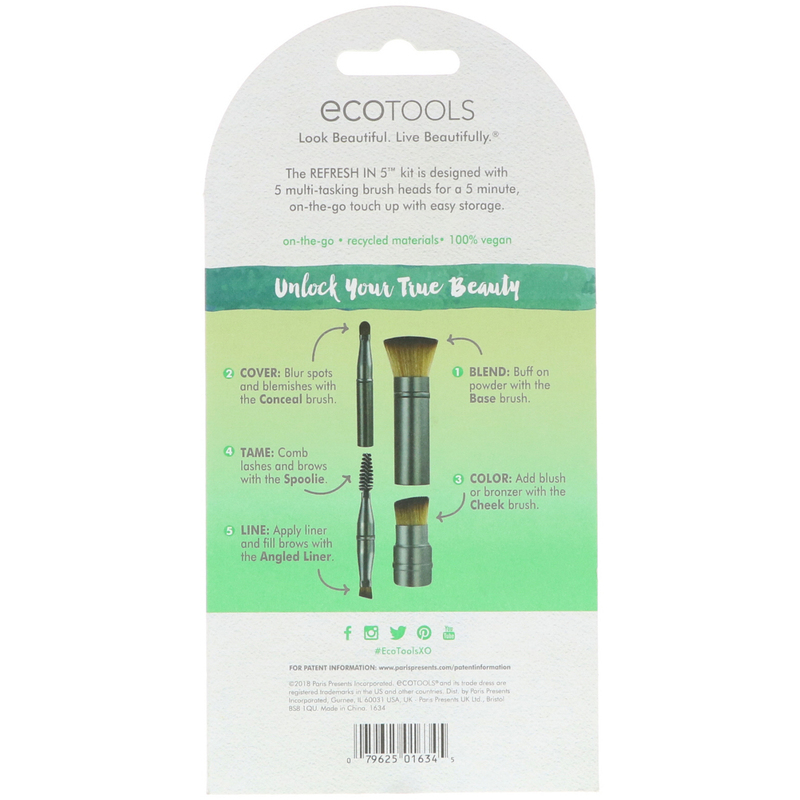 Cover: Blur spots and blemishes with the Conceal brush. 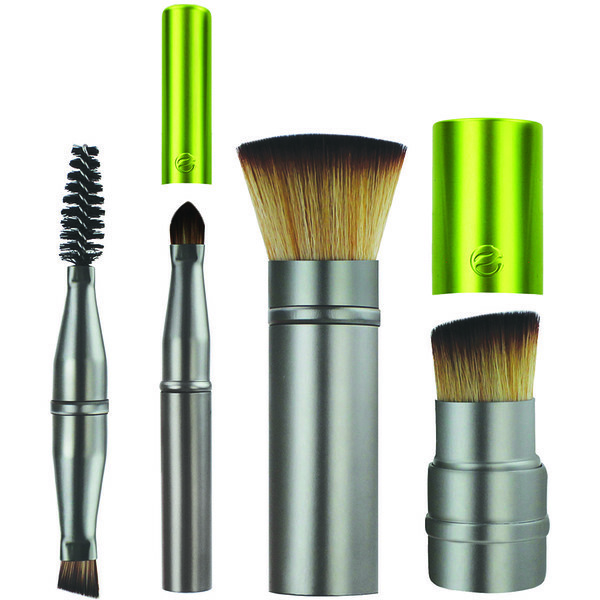 Color: Add blush a or bronzer with the Cheek brush. Tame: Comb lashes and browns with the Spoolie.